Yoga therapy is a valuable tool to learn how to reconnect with your body! Through mindfulness, relaxation and breathing techniques, we will explore reintegrating and intertwining the mind and body. What is Yoga therapy? Yoga therapy is typically conducted one-on-one or in small groups. Often, a session more closely resembles an appointment with a physical therapist or rehabilitation specialist than it does a typical yoga class. What sets this healing modality apart from others is the focus on linking intuitive movement to deep, rhythmic breathing. Another difference is the emphasis on relaxation. During our session together, we may spend an entire practice consist only of breath awareness and relaxation. The reason behind this is, we spend most of our time racing from place to place, or from thought to thought. Through mindfulness, relaxation and breath work, you will gain skills to slow down and be present. By being present you will learn how to create an open mind, and through this experience, increase your awareness. Awareness is the key to acceptance. Acceptance of struggle, adversity or success is just one benefit to yoga therapy. Want to hear more about how Yoga therapy can impact your overall health? Assist with reduction of panic attacks? Increase your emotional well being? Click here to read more. How much does Yoga therapy cost? Individual yoga sessions are $95 for a private hour. This hour includes individualized sequencing tailored to your individual needs. You will receive specific guidance, body inclusive language, and a dedicated yoga therapist trained specifically to work with individuals struggling with body image, anxiety, depression, trauma or grief and loss. Yoga therapy for body image is a specialized sequence to engage the union of mind and body. Body Image is your concept of how your body looks and changes based on your feelings about yourself. Body image is heavily influenced by mainstream media, your relationship with your surroundings, your peers, and most importantly, yourself. Our culture tells us that the external way we look can control our internal feelings; it tells us that how we look is the most important aspects of ourselves. We need to change that ideal and connect more to how we feel, and yoga can do that for us if we let it. In yoga therapy we will explore one of the main tenants of yoga- ahimsa (nonviolence)—do no harm to yourself or others. The media creating unrealistic images of beauty is harmful to you, and it’s up to you to set those images aside, love yourself and be kind to yourself. You are beautiful as you are. In the physical asana practice, we will focus more on what you can do and less on trying to be perfect at it. Being vulnerable is part of being your most authentic self, and that is what yoga teaches. Our happiness starts within! For more information please call (248) 721-9887. 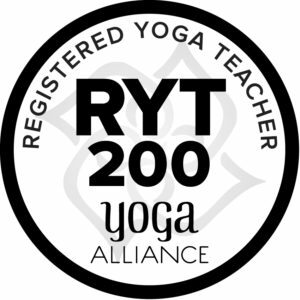 Alexandra Crosson is a registered yoga teacher with the Yoga Alliance. Alexandra is also a Certified Yoga Therapist with the International Association of Yoga Therapists.